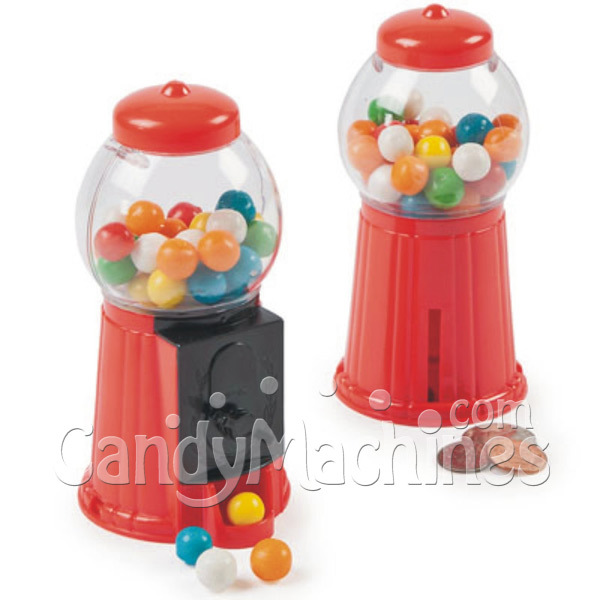 Toy Gumball Machines with Gumballs - These 5.25 inch tall red plastic gumball dispensers look just like the real vintage gumball machine. 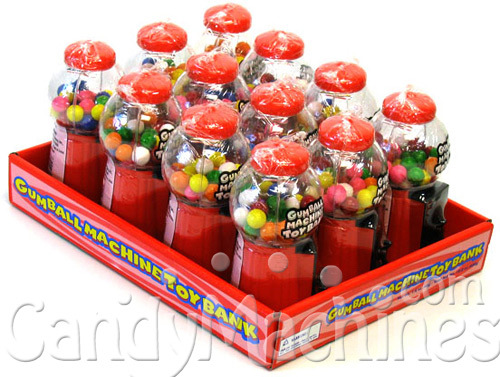 They come pre-filled with about 40 assorted fruit flavored junior sized (1/2 inch diameter) gumballs. There is a coin and bill slot in the back. Makes a great party favor or table decoration. Sold in a 12 count full color counter display. Note: Dispensers are non-refillable. Carousel Refill Gumballs 16 oz.